When you first undertake a makeover for the exterior of your home, you can feel excited about the changes you’ll make. But when you see just how many different paint color options are available to you, your enthusiasm can quickly shift to overwhelming stress. How on earth will you decide which ones will best suit your style and the feel you want for your home? Well, here are four tips to help you make the right choice for exterior painting. It can be hard to envision the walls being a different color. That’s why Sherwin-Williams has a tool called the ColorSnap Visualizer, which enables you to upload a picture of your exterior and play around with their 1,500 paint color options. Adapted for web, iPad, or phone access, this tool can help you feel confident that you’re making the right color choices for your home. If you like the way your landscaping looks, use it to help determine the color of your exterior paint. For example, if you have bushes that have flowers of a certain color, you can pick a paint shade that complements that feature. You can find tons of examples of painted houses that you admire in home improvement magazines or online at sites and apps like Pinterest. Collect the ones that speak to you the most and feel like they could fit the style you want for your home. You don’t have to choose a dramatic color for every exterior surface to make a statement. For the window trims, shutters, fascia, and soffits, you can choose a complimentary or contrasting color for these areas, making them stand out in the best possible way and add punch to the look of your home. If you’re going to paint your walls, you want to make sure they are what you really want. You need to feel confident in your decision. Asking someone you trust for a second opinion can help you pick the colors you want. If the painting company you choose offers it, take advantage of a color consultation to get more insight about your choice. Although you are the one who will be making the decision in the end, this extra help can help you move forward with more surety. In the end, improving the appearance of your home doesn’t have to be as difficult as it seems. It is important to choose a painting company that can help make this process easier for you so that you can move forward with confidence in your choices. As you implement these tips, hopefully you’ll find that the perfect colors for your home become clear. Platinum Painting is owned and operated by long-time Keller residents Karl and Marjorie Pickens, who started the company back in 2008. 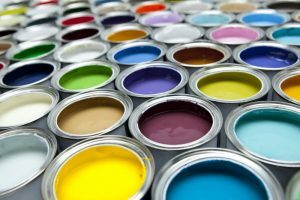 As part of their services for residential painting, they offer a consultation with an experienced color consultant to help customers narrow the seemingly limitless options of colors down to the perfect choice for their home. To schedule a free estimate, you can call or click here.